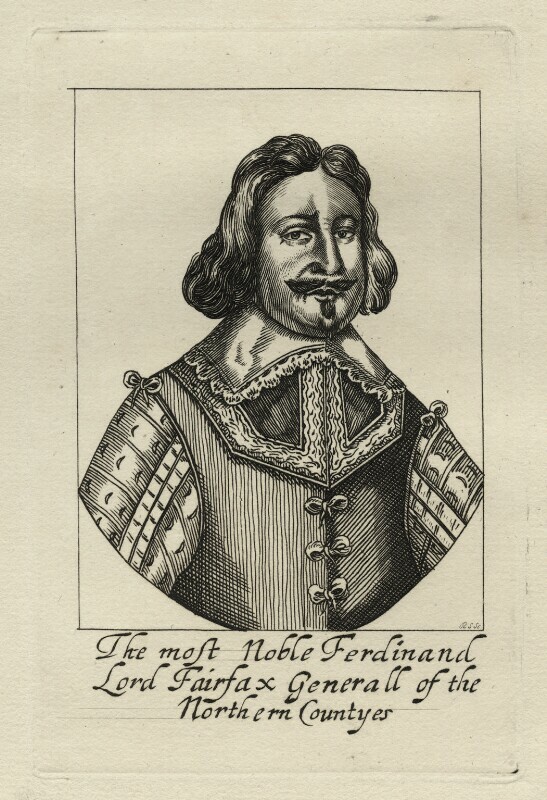 Ferdinando Fairfax, 2nd Lord Fairfax of Cameron (1584-1648), Parliamentary general. Sitter in 6 portraits. R.S. (active 1640s). Artist associated with 24 portraits. Putney debaters. Civilian Levellers and parliamentary soldiers discuss a new constitution for the country; discussions focus on drafted proposals from both groups with Commissary-General Henry Ireton attempting to moderate the Levellers's radical Agreement of the People. Scots surrender Charles I to Parliament. Imprisoned at various locations, Charles enjoys relative freedom. Mariner, Sir Robert Dudley, publishes his maritime encyclopedia, Dell' Arcano del Mare with illustrations by Antonio Francesco Lucini. Written in Italian, the pioneering work includes cartography by Dudley of the earliest printed sea atlas of the world. Anglo-Dutch portrait painter, Daniel Mytens, Van Dyck's predecessor as court painter, dies. Released from the Tower, George Monck, Duke of Albemarle, is appointed commander of Parliament's forces in eastern Ulster. The Irish Confederate suffer resounding defeats at the battles of Dungan's Hill and Knocknanauss against English Parliamentary forces.